The EARN Starter Savings Program is an online program that rewards you for consistently saving at least $20 each month. The program lasts for 6 months and you can earn a maximum of $60. You will also have the opportunity to select a savings goal and set a personal monthly goal amount. The purpose of this goal is to challenge yourself to save more than $20, reaching this goal or saving more than $20 does not increase your rewards. 3. Save at least $20 each month for 6 months. If you connect a checking account, please remember you need to have a net gain of $20 each month to earn your $10 reward. 5. After 6 months, you can claim your rewards after completing an exit survey and entering your bank's routing number and your bank account number. You can continue using the EARN website for another 6 months. 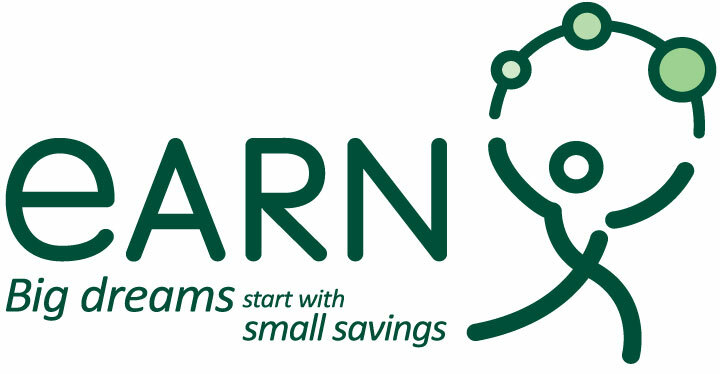 EARN is a non-profit committed to helping Americans save for their financial wellbeing. We are not a bank or credit union and we never have access to your money.